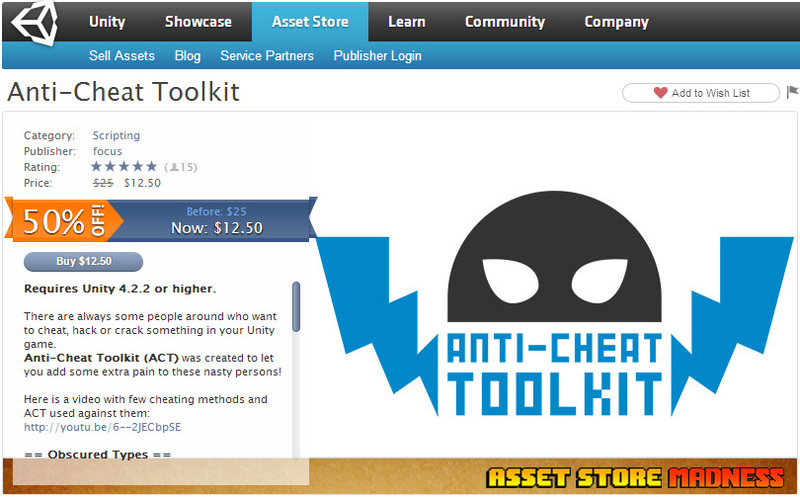 As you already might know, my Anti-Cheat Toolkit plugin was selected for the Asset Store May Madness Sale, which has started at May 5 and was rocking until May 16. Before revealing any Madness Sale numbers and achievements, I’d like to make an overall retrospective of this plugin. Please, note, all earnings will be posted in gross, net (what I get) is 70% of gross. no ratings, no recommendations and was not so easy to find in store at all. I started giveaway of plugin, posted about it on this blog. First lucky (I hope) customer bought ACT on August 18. There were total 5 sales in August! It wasn’t so much, but at least something, you know =D So it was total $50 gross in August. It was my first income gained by selling something made by me. I never was an indie developer, never made or sold my games or any other stuff before. 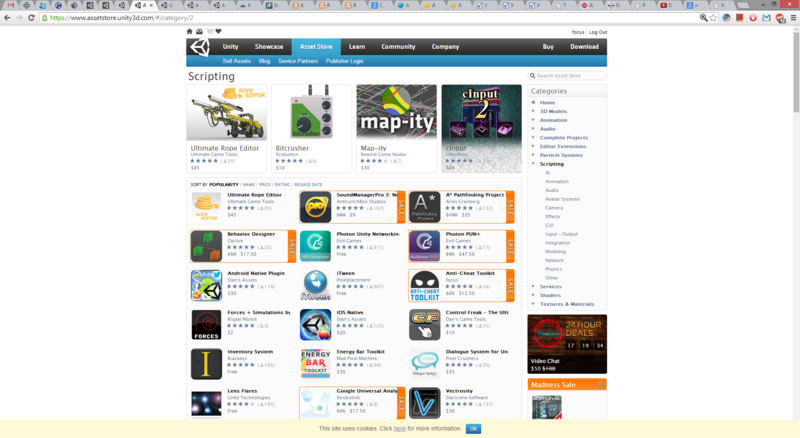 So it was really pleasantly to have any income from plugin at all. I should mention I never paid for any kind of promotion or advertising of plugin anywhere. All I usually did – posted on forums (official one and later, Russian Unity3d forum), twitter, facebook and G+ after update release. Actually that guy who were lucky enough to buy plugin before this mess was only one who bought it at all that month, since plugin went online again only on September 30. So only $10 gross that month. 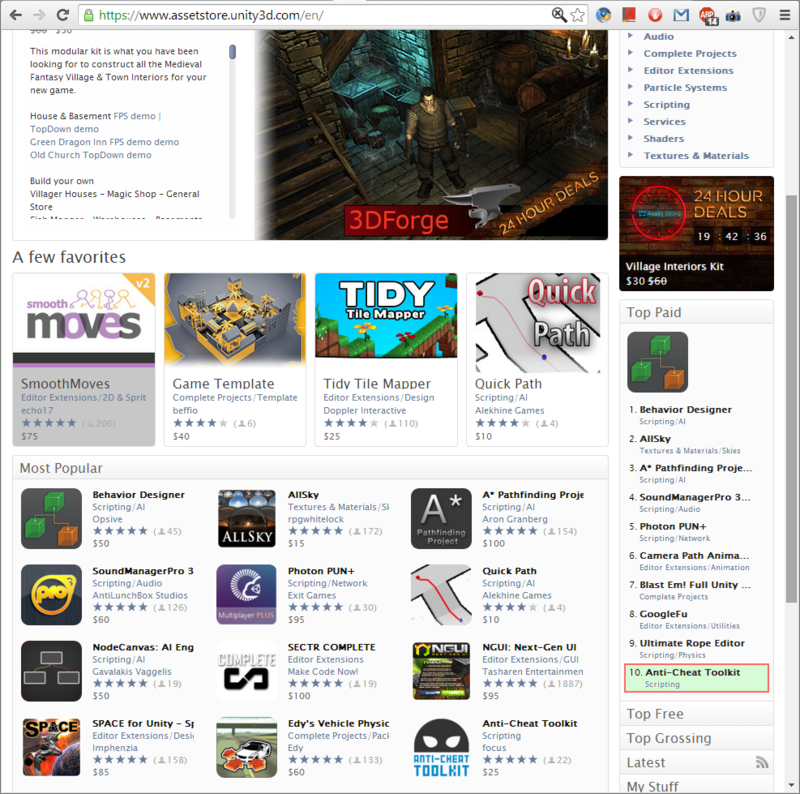 I was invited into the Asset Store Publishers Google Group. October was luckier for me – I get total 7 sales and $70 income. I did updated plugin twice in mid-late October. Plugin started to get its first ratings (5 of 5!) and discussions on forums + I launched thread on Russian Unity3D forums and started to get some feedback finally, all this was an additional punch for me to continue invest some of my free time into this plugin since I saw people are interested in it. In November, I get twice more income – total 14 sales and $140 gross! 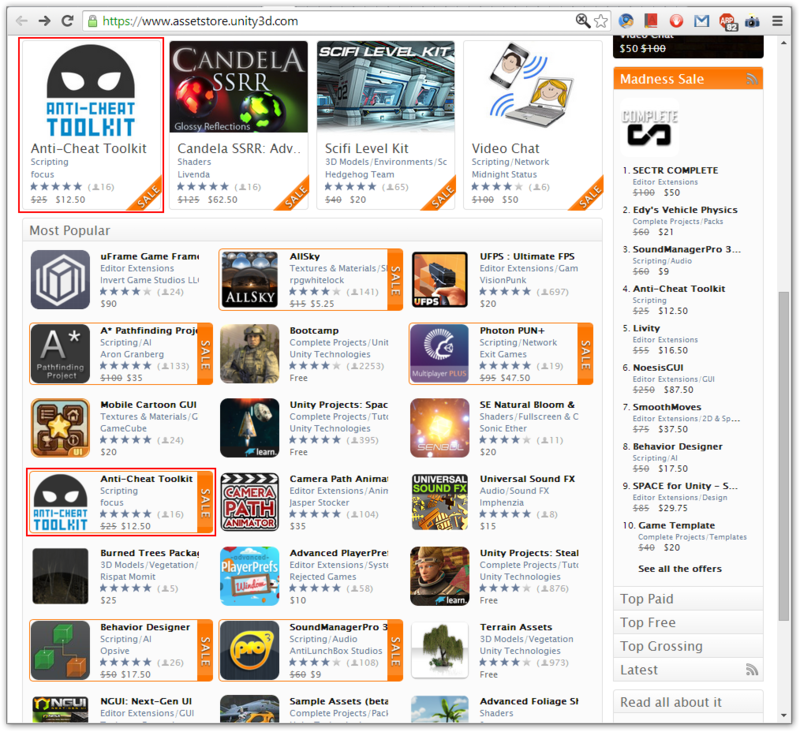 I did updated toolkit few times in November, it became stronger, got some additional features, I get more and more people asking me something about it. December was almost same to November – 13 sales and $130 gross total. 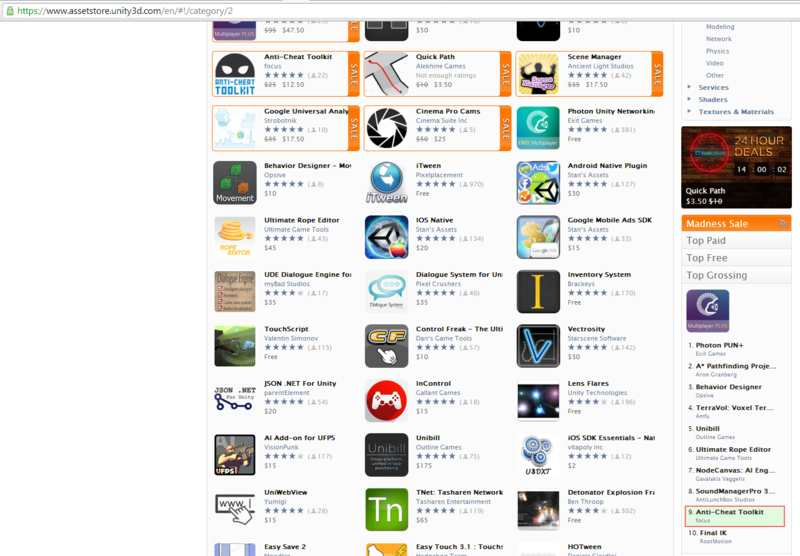 It got some more ratings and even recommendation. I did not update plugin in December since I started development of another my plugin – Advanced FPS Counter and used my free time for its development. January did made me happy – I got total 22 sales of ACT ($220 gross), updated ACT once, launched FPS Counter (it was initial name, later renamed to Advanced FPS Counter) with price $2 and even got 6 sales of it ($12 gross), $232 gross in total. February went almost same to previous month in total, but not same in details – 14 ACT sales ($140 gross), 6 sales of AFPSCounter ($12), I made another counter update and raised price up to $5 (current), got 15 sales ($75)! $227 in total. March was a spring gift or so – I got breaking (for me) results! 45 ACT ($450) and 28 AFPSCounter ($140.00) sold, $590 gross in total, wow! I did updated both plugins and honestly warned my customers (via twitter and forums) I’m going to raise a price of ACT with next update. I bet this was a cause if such sales boost. AFAIR I did another attempt on filling ACT sales sign-up form. April tried to fool me, I guess since I couldn’t believe my eyes when checked out my sales publisher page… I raised up ACT price up to the $25 since at that moment it had a lot of stuff to offer (lot of obscured types, full sources, full API docs, robust PlayerPrefs protection with detection, injection detection, speed hack detection, etc.). I got 23-1 (one was charged back, carder maybe? not sure why) ACT sales for old price ($220), and 25 sales for new $25 price ($625), plus 19 AFPSCounter sales ($95). Gross $940 in total. OMG I thought! It was a real success for me! 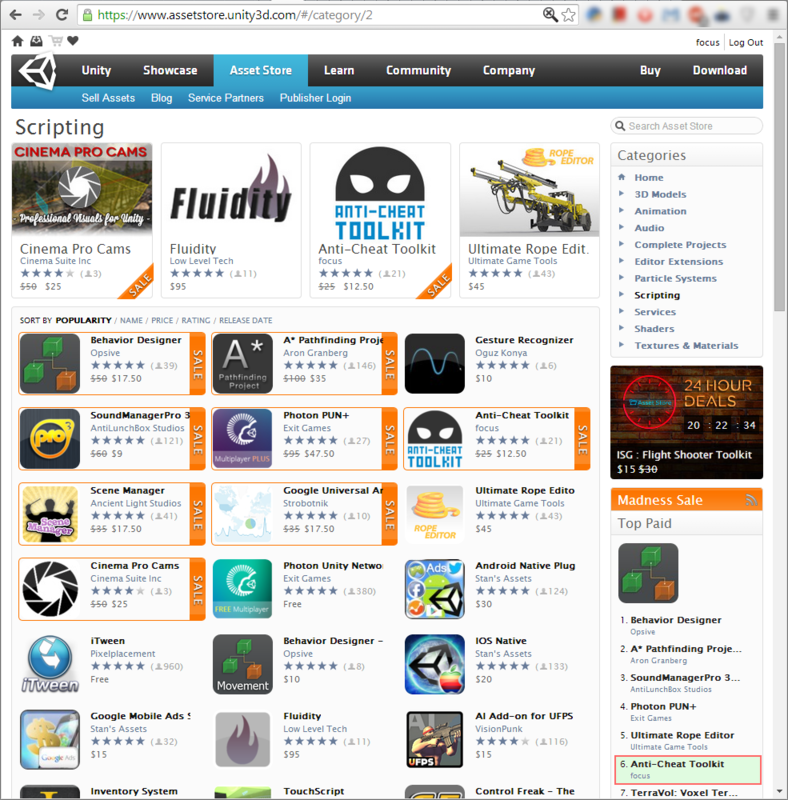 To the end of the month both plugins got dozen of ratings (5 of 5 mostly) and few great recommendations. 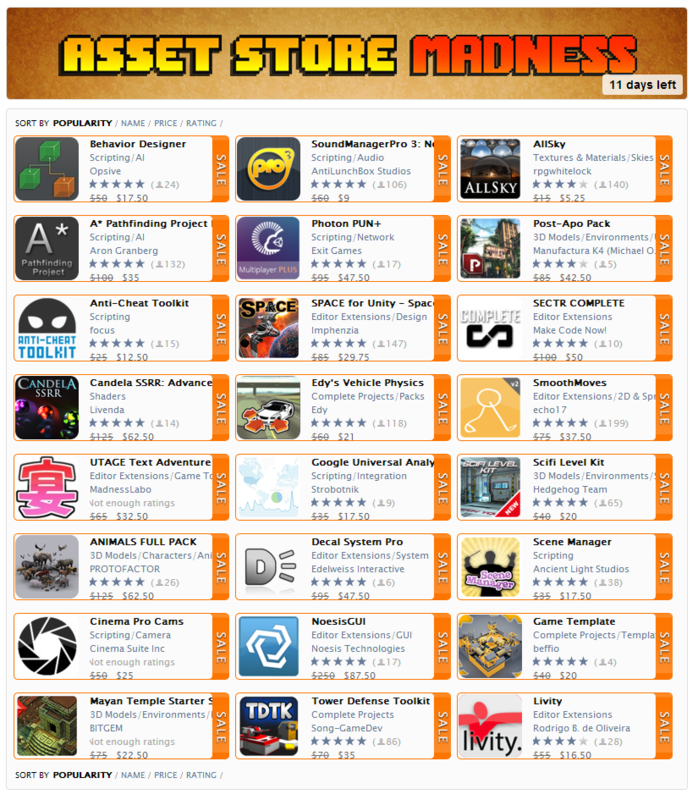 On April, 29 I got an e-mail from Kamio Chambless with header: “May Asset Store MADNESS Sale! You’ve been chosen!” and something about Anti-Cheat Toolkit was chosen for the Madness Sale for 50% off which is going to run from May 5 to May 16. I even didn’t realized at that moment how important was that email and how it was going to smash up all my previous knowledge and experience on Asset Store! May… It started as usual, with bugfix ACT update and few sales. Wooh, all these achievements were just amazing! My jaw still drops every time I see these sale results. As you may easily see, first few days of sale already overcomes all previous sales I had. It’s not so much I can add here. I’ll just say: this is an absolute success and Asset Store Sales FOR THE WIN! I should mention I had no significant plugin support contacts increase as I expected. Looks like people buying stuff on sales just in case they will need it someday, but not for immediate trying out. And I heard same from other guys who were on Madness Sale. 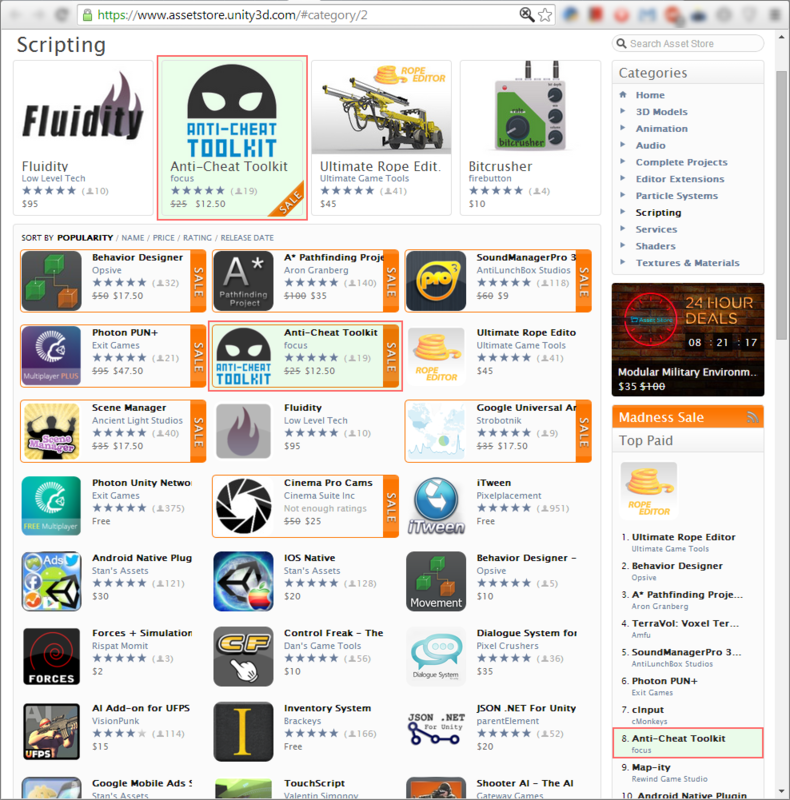 I wish to thank and hug whole Unity Asset Store Team and all who bought my plugins! 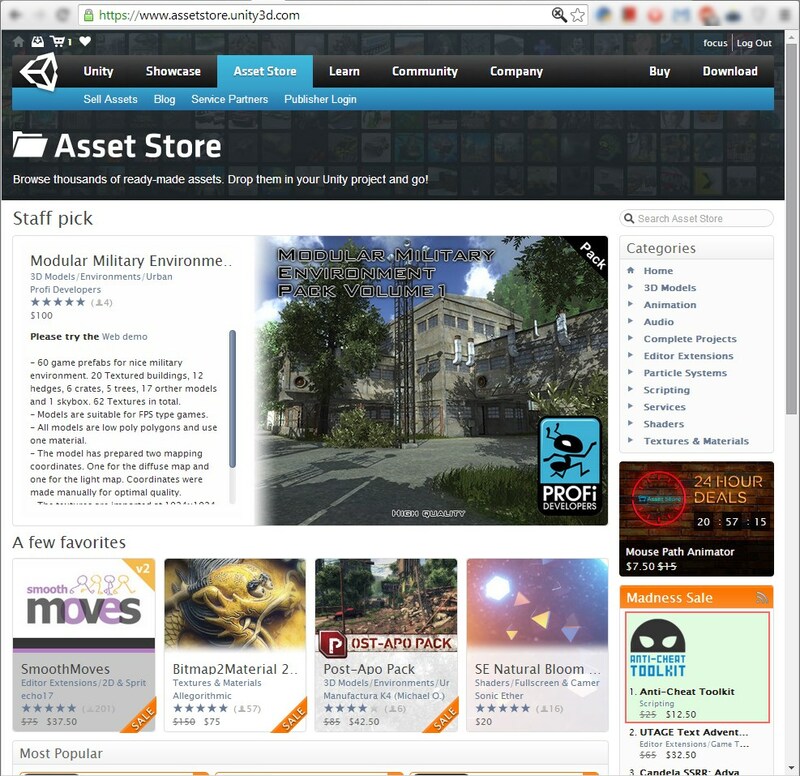 I’d be glad to see your recommendations / reviews on Asset Store and feature requests, bug reports and any other feedback on forums! Feel free to use any other suitable contacts to reach me as well. P.S. : special thanks to my little lady and my wife for support and lot of positive emotions! All I did – just few tweets about the sale on the Twitter, that’s all. When they put your asset on 50% MADNESS sale, do they give you 70% of the original price? Or just 70% of the discounted price? Thanks for your post. I had a similar experience with some of my assets when they were included in a recent sale. I didn’t enjoy the same numbers than you have, but I did see an increase of 500% in profits. 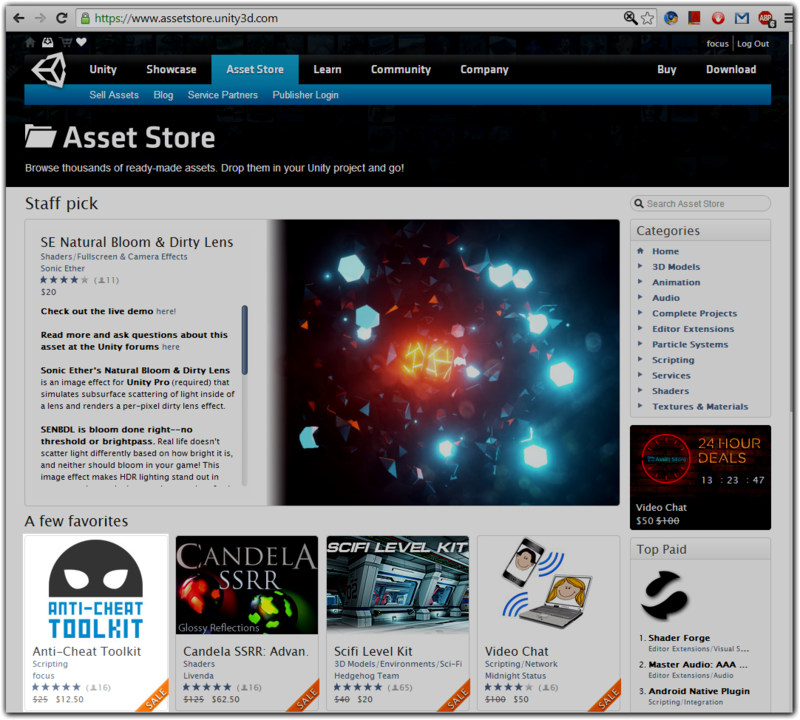 The asset store is pretty awesome. Absolutely, congrats with your sale!